ADRC transportation services serve the elderly (aged 60 or older) and persons with disabilities. State statutes permits counties to transport the general public on a "space available" basis when, for instance, the vehicle has remaining seating capacity after a minimum advance reservation time has passed, or a family member is accompanying an elderly or disabled rider. Three handicapped-accessible mini-vans are also available throughout the county to transport disabled and elderly (aged 60 or older) to non-emergency medical appointments/shopping/personal business. Soldiers Grove Senior Dining Site at TazZee's Bar & Restraurant: Monday through Fridays (except for Tuesdays) transportation from Gays Mills area to the Soldiers Grove Senior Dining Site. Pick up begins at 10:00 am; lunch 11:30 am; returns at 12:30 p.m. $3.00 suggested donation at meal site. $1.00 co-payment for transportation to meal sites. Shopping schedule: Every Tuesday and Thursday to Viroqua for shopping/medical. Co-payments for shopping/medical to Viroqua and Prairie du Chien are $4.00. Prairie du Chien Senior Traveler serves southern half of Crawford County. Senior Traveler II travels to the Eastman meal site each Monday, Wednesday and Friday. Bus departs 9:30 am; returns 2:15 pm. $1.00 co-payments for transportation. $3.00 suggested donation at meal site. Medical/Shopping to LaCrosse: Tuesdays and Thursdays are reserved for non-emergency medical/shopping trips. Medical trips take priority; shopping may be accommodated. Time varies on appointments. $20.00 co-payment. Prairie du Chien Senior Traveler provides transportation Monday through Friday to the Senior Dining Site at Prairie Maison. Pickup begins at 10:30 am; lunch at 11:45 am; returns 12:45 pm. $1.00 co-payments for transporation; $3.00 suggested donation at meal site. Shopping in Prairie du Chien area: A shopping route has been added on Thursdays from 9:00 am to 11 am. This route will pick up and drop off within 2 miles of the City of Prairie du Chien. Stops may include grocery shopping, food pantry, library, banking, pharmacies, laundromats, hair salons, etc. $1.00 co-payment. Special use trips maybe schedule with approval of the ADRC. For a complete transportation schedule or to schedule transportation, contact the ADRC at 608-326-0235. You may also view the ADRC's monthly newsletter which is available free of charge at many local business throughout the county, or visit www.crawfordcountywi.org/adrc. The ADRC of Eagle Country - Prairie du Chien Office does not provide transportation for Medical Assistance Members. Members must call LogistiCare at 1-866-907-1493 to schedule three days prior to appointments. **Routes will not run with fewer that five passengers. **Price to ride the bus is 1.00, extra stops of senior dining trips are an additional .50 per stop. **Routes will not run with fewer that five passengers, except for medical reasons. **Schedule La Crosse medical appointments between 10:30 a.m. and 2:00 p.m.
Fifth Week ***** Monday, Tuesday, Thursday and Friday regularly scheduled nutrition site trips. Tuesday is open for special use. 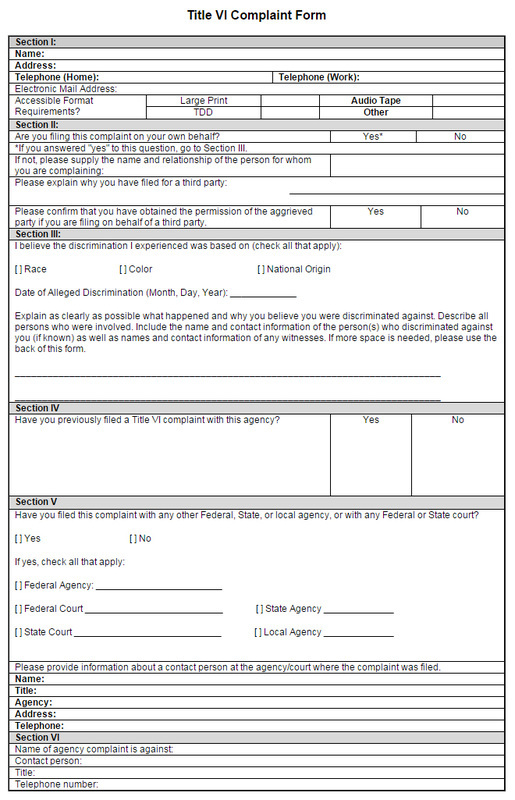 Any person who believes she or he has been discriminated against on the basis of race, color, or national origin by the County of Crawford may file a Title VI complaint by completing and submitting the agency’s Title VI Complaint Form. The County of Crawford investigates complaints received no more than 180 days after the alleged incident. The County of Crawford will process complaints that are complete. Once the complaint is received, the County of Crawford will review it to determine if our office has jurisdiction. The complainant will receive an acknowledgement letter informing her/him whether the complaint will be investigated by our office within 10 calendar days. . The County of Crawford has 60 days to investigate the complaint. If more information is needed to resolve the case, the county may contact the complainant. The complainant has 10 business days from the date of the letter to send requested information to the investigator assigned to the case. If the investigator is not contacted by the complainant or does not receive the additional information within 10 business days, the county can administratively close the case. A case can be administratively closed also if the complainant no longer wishes to pursue their case. If the complainant wishes to appeal the decision, she/he has 60 calendar days after the date of the letter or the LOF to do so. If information is needed in another language, the complainant may contact the Crawford County Aging & Disability Resource Center at 608-326-0235, toll free at 988-794-2372, or (TTY 800-283-9877).